Check out the Wordless Wednesday Hub here! 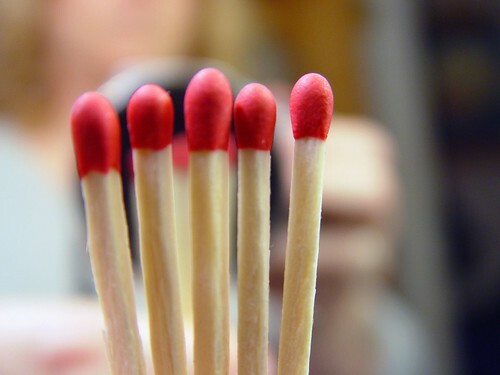 five pretty red tipped matches! - Tommie: “But I say a row of matches! final guess…matches…I will even go so far as a mobile shout out….matches. ” I think she was pretty sure of herself!